Congratulations to Muhammadi Welfare Association ( MWA) on raising $200,000 at the fund raiser held at Imam Hasan Centre, IHC was honoured in hosting the event and it was wonderful to see communities working together and promoting unity and achieving and amazing result. This programme was start at 2:00 p.m. after Namaz-e- Zuhrain, on Sunday 7th May 2017 at Imam Hasan Centre, 165 Annangrove Road Annangrove Sydney. 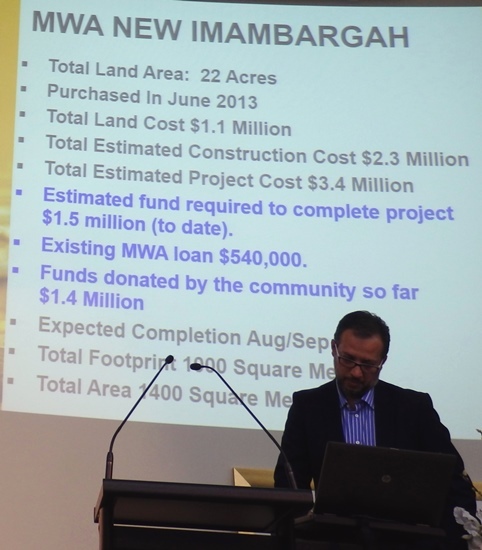 MWA New Imam Bargah Project at is under construction at the Badgerys Creek near New Sydney International Airport. According to the construction schedule, New Imam Bargah will be completed InshAllah in the end of September 2017. Entry ticket was $ 100 per person. The Community members purchased tickets and make donations for the construction of new Imam Bargah, which is in full swing. The president of MWA Abuzar Zaidi was overseas so Mr Athar Zaidi through slide show updated all Community members on the progress of our new Imam Bargah. 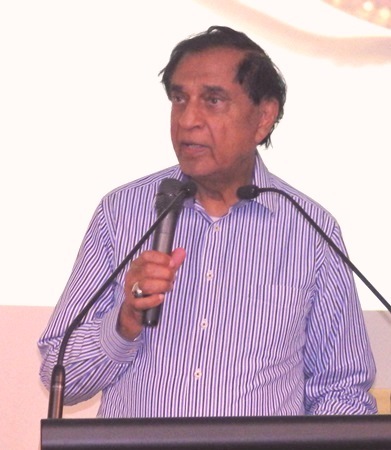 The Management of MWA honoured to have a very famous poet from Pakistan Janab Naseer Turabi Sahib who recites Maqabat in this Fund-Raising event. Janab Naseer Turabi Sahib is son of great Allama Janab Rasheed Turabi Sahib. There was auctioning many items of interest, including some jewellery that was donated by respected ladies during last Muharram. Dr Sultan Aly and Abbas Aly supervised auctions and collected unbelievable amount from Ladies and Gents. MWA project is the biggest ever in MWA history for many year to come and will serve as the first step for many more exciting developments for Muslim Community in future. A Community Project of this size needs much greater Community involvement and financial support and Alhamdolillah, so far, we have seen this support from every and each Community Member. Insha Allah, like before, the executive committee of MWA, feel confident that our Community will keep the tradition of exceeding our target. 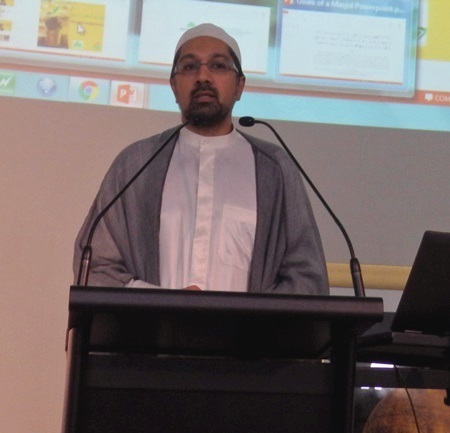 So, let us be united in celebrating our past successes and look forward to a bright future for Muslims in Australia. MWA and IHC thanks for people dedication and financial support for New Imam Bargah. Donations can be deposit in the account of MWA.